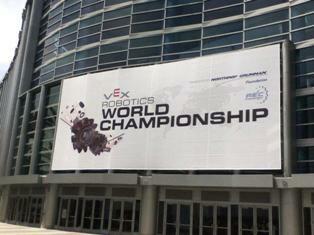 Six teams from the UK joined thousands of pupils from across the globe to compete at the 2014 VEX Robotics World Championships in California, with notable performances from two of the teams. 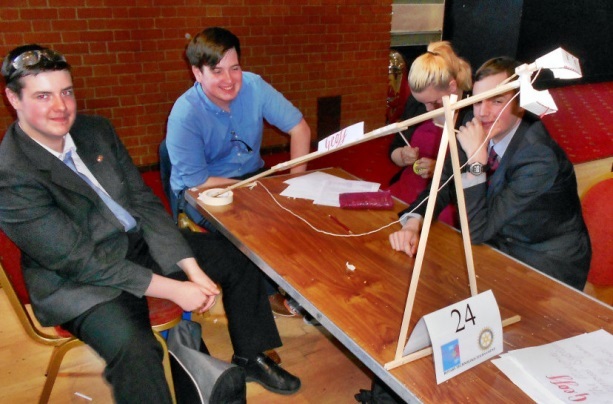 The highest ranked British team were ‘3116 Team Control Freaks’ from the John Warner School in Hertfordshire, who finished 14th out of 86 teams in the High School Maths division – the highest placing yet for a UK team. 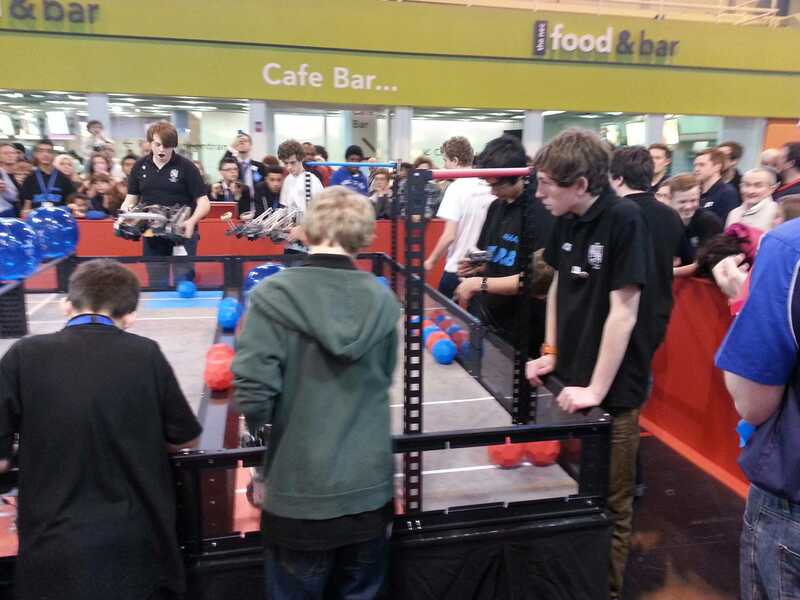 ‘Volt Robotics’ from East Barnet School were ranked as high as 7th in the same division after the first day, but could not quite maintain their 100% record and eventually won six out of their ten matches. ‘XLR8’ from Nottingham High School achieved a first for UK teams at the World Championships when they competed in the Quarter-Finals, after being selected as an alliance partner by two US teams. The overall winners were teams from schools in the US, New Zealand and Canada and China in the Middle School Division. One of the highlights of the World Championships is the launch of the following year’s VEX Competition Game, which in 2014-15 is called ‘Skyrise’. It challenges teams to build towers and pick up and place cubes. 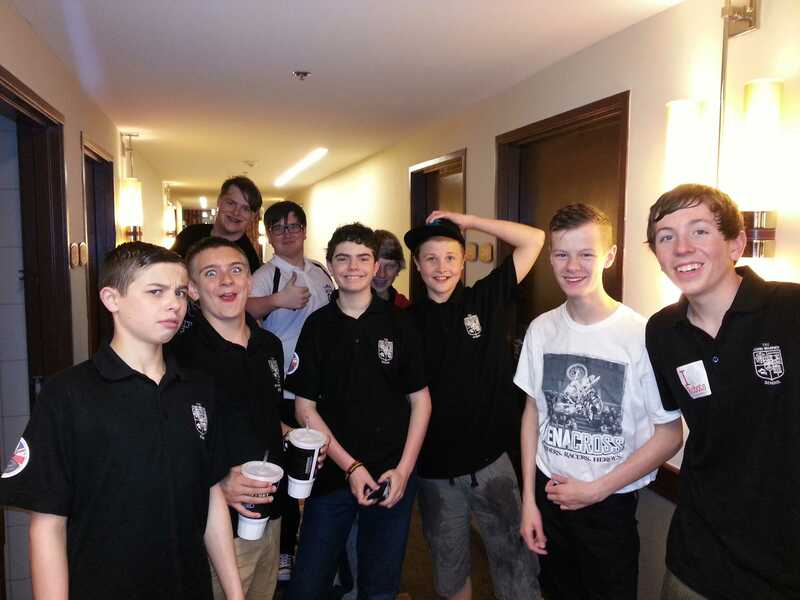 On the 21st April, 2014 –Easter Monday – 10 students and 2 teachers boarded a flight to Los Angeles to take part in this year’s VEX Robotics World Championship. This year’s event was to be bigger than any held previously with over 700 teams from 28 countries taking part and 15,000 people on site to support, build, compete or just spectate. The flight was comfortable with only a few people on board and we settled down for the long haul hoping to land fresh in Anaheim on Monday afternoon. On Tuesday, having spent more than 16 hours travelling the day before, the teams set about unpacking their kit and robots. Considering that the robots had travelled all the way across the Atlantic and over the entire width of the USA, they were in remarkable condition and operated nearly perfectly straight out of the box! This gave us the opportunity to go and explore the local area and to meet up with some of the 430 teams that would be competing against us in our division. As well as our competition, a middle school and a University division had been created but the High School division was by far the largest. 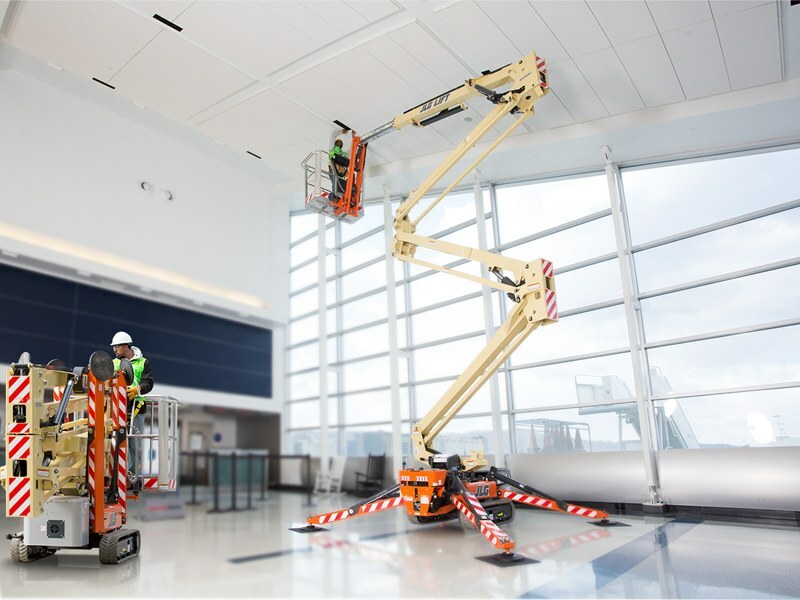 On Wednesday we were up early to ensure all the kit was ready and then we made the short journey from the hotel to the Anaheim convention Centre complex. First order of the day was registration followed by a period of loading our pit area and setting up our display so that other teams know who we are and where we come from. Arriving early allowed us to see the other teams arrive in a myriad of colours and different uniforms. Once set up it was time to have our robots inspected. This is a process employed to ensure all the competitors adhere to the stringent rules. This year we sailed through with no technicalities or adjustments needed. Wednesday afternoon was spent making friends and looking for potential alliance partners for later in the competition. During the final stages teams must compete with two other teams against their rivals and must co-operate and work together. Having friends early on always makes this process more fun and can help further your interest in the competition. Thursday saw the official opening of the Championships with awards given out for teams who had submitted online work. Amongst these were opportunities to create websites, promotional videos and an essay based on community work with VEX. Once the ceremony was over, all the teams were put into divisions of 86 teams and the first matches began. Both the John Warner Teams (3116 and 3116B) only had two matches whilst others had three. With ten matches in total for each team, it was an easy start to our schedule which promises to get more hectic! At the end of Thursday, both 3116 and 3116B have won both of their first matches putting 3116 into the top 10 and 3116B just outside – the highest position any John Warner team managed at the last championship in 2012. Friday promised to be busy with 6 matches scheduled for both teams and we hoped we could maintain our excellent start on both fronts. The competition will then carry into Saturday for the final qualifying league matches before the top 8 choose their alliance partners. Friday continued much as Thursday had begun for 3116 but sadly 3116B began to suffer defeats that would eventually see them drop down to the lower half of the table. 3116, however, maintained their unbeaten run and negotiated some tricky matches to complete the day in top spot! With some other games still to be played, they dropped down to third overnight mainly due to the complex system of schedule points (like goal difference!) and a hard fought draw in their sixth match. Hopes had never been higher that we could make the knock out stages and with only two games remaining, a top 25 finish looked certain. Saturday matches began at 9:00am and the team were first up. This would promise to be a tight game with both alliances fielding one strong robot and one weaker partner. The match began badly for 3116 as their partner refused to move of the starting tile whilst the opposition began scoring freely. Outnumbered two to one, they team had little chance and a frustrating first defeat became inevitable. Onto match two of the day and both alliances looked to be evenly matched. The game started off better with both teams scoring freely and our alliance had a great chance to take a fifteen point lead when the opposition somehow managed to get under the robot and flip it backwards. Sometimes this manoeuvre would be deemed illegal and the offending robot disqualified but the judges ruled that both had been trying to score simultaneously. Once again outnumbered two to one for the final half of the match, the final score resulted in a 20 point loss. The table now looked bleak as we dropped down to fifth, then eighth and with other games being played, down to fourteenth. One of the best features of VEX robotics is the chance for the top eight teams to pick an alliance partner for the knock out rounds. Having performed so admirably for the duration of the competition, we hoped that one of the top eight teams would pick us. As the selection process unfolded, teams who had been eager to befriend us when we were riding high deserted us for their American friends and we were left as the highest ranked team not to be picked. A frustrating end to the competition but still the highest place a UK team has managed which is also the highest a European team has achieved in the qualifiers. Added to this the fact that we ranked number one for the least points conceded throughout the entire competition and it demonstrates how far our small team from a distant Island has come over the past three years. Next year we aim to be in the top eight and the ones choosing alliance partners! The third VEX Robotics UK National Championships was a resounding success, with 40 teams from 27 schools battling it out over two days and 150 matches to be crowned UK Champions. The competition took place at The Big Bang Fair at the Birmingham NEC. The winning alliance was composed of three teams considered pre-tournament favourites: ‘Virus Robotics’ and ‘Volt Robotics’ from East Barnet School in North London and ‘3116 Team Control Freaks’ from the John Warner School in Hertfordshire. 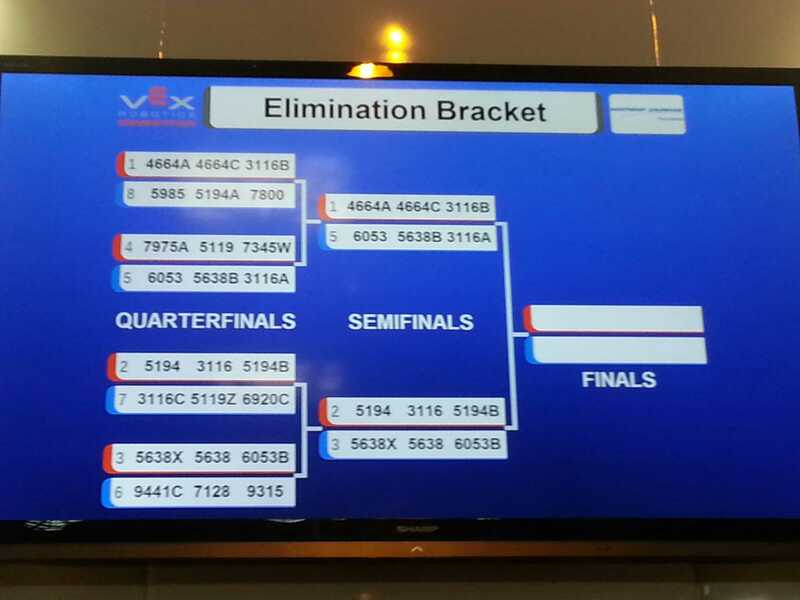 These schools have become unofficial centres of VEX-cellence in recent years, and it was no surprise to see them do so well in the competition. 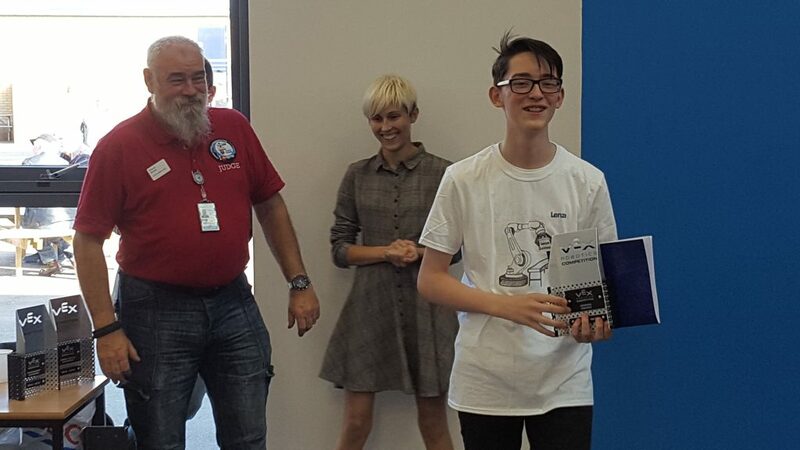 But the beauty of VEX is that no one ever stops learning or collaborating, so teams making their debuts this year, like Tanfield school in County Durham or Nagle Community College from Cork, could easily be leading the pack in a couple of years. 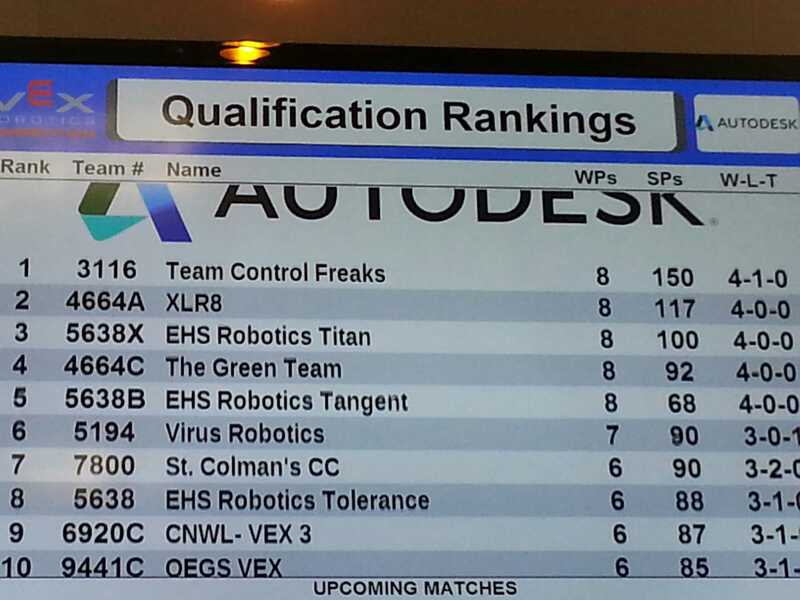 The three winning teams now qualify for the prestigious VEX World Championships in California next month, along with the three teams they beat in the final match of the competition: ‘XLR8’ and ‘The Green Team’ from Nottingham High School and ‘3116B Team Control Freaks’ from East Barnet School. The two Nottingham schools also scooped a number of other awards, including the Excellence, Programming Skills, Robot Skills and Design Awards. 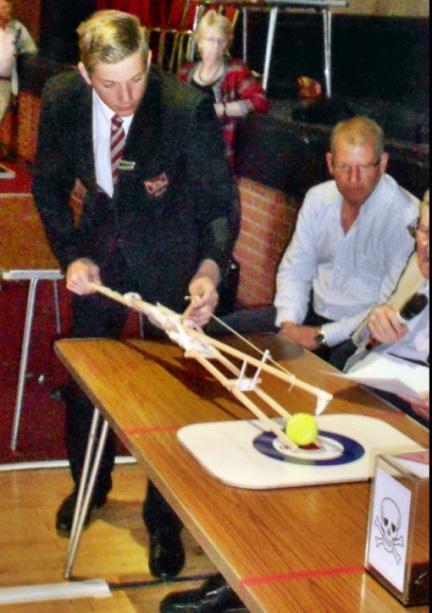 The name of this year’s competition was ‘Toss Up’, with teams challenged to design robots which could pick up and deposit two different sized balls into separate scoring zones. Additional points were awarded for robots which could hang from a 40″ coloured bar at the end of the match either with or without balls. Competition was intense throughout, and an incredible atmosphere was created in the VEX arena, particularly during the final rounds of matches. As the UK distributor of the VEX robotics platform, Rapid again helped to co-ordinate the competition at a Regional and National level. 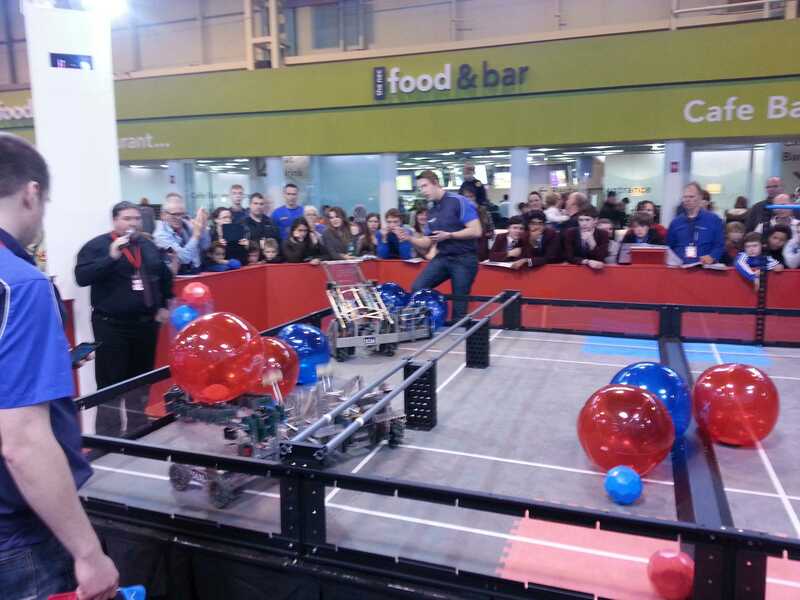 In collaboration with VEX Robotics and its sponsorship partners National Grid, members of our Education team demonstrated the VEX system at the Big Bang Fair. They showed pupils, teachers and employers how the system can develop key skills in programming and engineering. Forty teams, three days of competition, 150 qualifying matches and four knock out matches later and Team Control Freaks have been crowned VEX UK National Champions! Niall Goodwin, Daniel Rowe, Lizzie Hunt and Nina Jansen have battled 39 other VEX robotics teams over a three day competition to become the UK’s National Champions for the 2013/2014 season where they have been playing the official VEX game, Toss Up. The game, consisting of 10 Bucky Balls and 4 Large inflatable balls challenged students to score as many points in a 2 minute game as they could whilst also striving to hang their robot from a 40″ bar at the end of the game. The team had to design and build their own robot to fit within an 18″ cube before competing in a number of regional competitions to reach the final which took place at the NEC in Birmingham on the 13th/14th and 15th March 2014. The team had a solid qualifying run, maintaining a top 10 position through out before teaming up with Virus and Volt robotics from East Barnet School for the final knock out stages. They stormed through both the quarter and semi finals to meet the pre-tournament favourites XLR8, the Green Team and our own 3116B in the final. In a best of three match up, the game became very tactical and the experience of 3116 and the East Barnet teams showed as they out manoeuvred their rivals to deny them many scoring opportunities. This adds to the seasons success for 3116 with several tournament wins and trophies already under their belt and their Design award from the 2012 National final. The other John Warner teams had fluctuating qualifying experiences. 3116A had a torrid time qualifying down in 24th place before being picked to support 6053 (Highgate School) and 5638B (Eversham High School) in the elimination stages. Jake Stinson and Stuart Pryce played in all the knock at rounds up to the semi final where they were involved in an epic battle against the top two seeds and our own 3116B, narrowly losing out 2 games to 1. 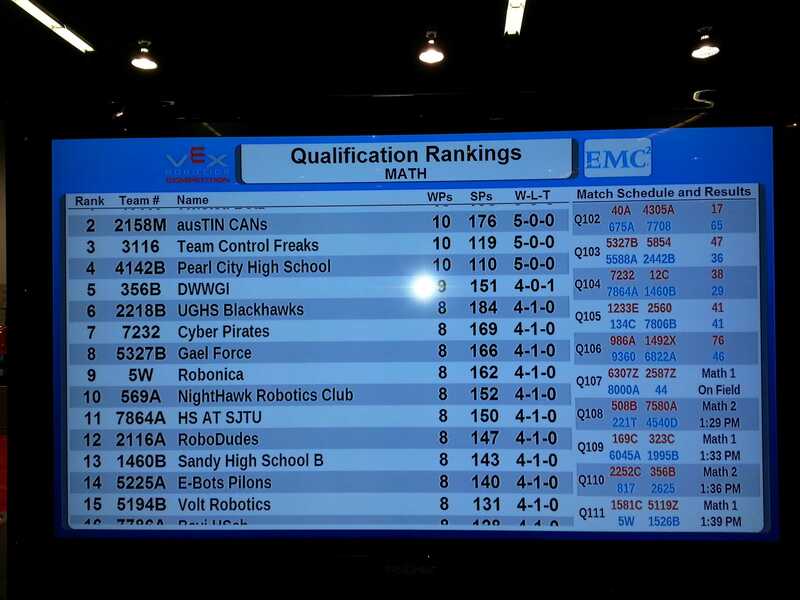 In their first robotics season, team 3116B managed a very respectable 18th qualification spot and had done a lot to impress the other teams at the tournament. Their performance was so good that the pre-tournament favourites 4664A (XLR8) and the second seed (The Green Team) from Nottingham High school selected them as their third alliance. Having the easiest of the draw in the quarter final gave them an easy first round but the second round couldn’t have been much closer. Chandler Walker, James Cosgrove, Sam Best and Carl white has to use of their knowledge of their own team, rivals (3116A) to ensure victory and they benefitted from a very unlucky breakdown in the closing stages. Second season returnees Ben Dance, Josh Clancy, Cerys Edwards, Deon Graham and Dan Horne had, possibly, the biggest gains and losses during qualification. they had a number of tough early games that had left them low in the table in the morning but by the afternoon had climbed back up to the correct end of day one. A poor start again on day two sent them back down before my favourite moment of the tournament. Allianced with a team low in the table and up against the top team, unbeaten in 14 games who themselves were allianced with another top ten team, the chance of a win looked bleak. a quick tactical conversation with their lowly alliance and a strong autonomous phase gave 3116C an early lead. A supreme piece of driving by their alliance partner, using some Jose Mourinho esque tactics and 3116C had become the first and only team to defeat XLR8 in the qualification stage. This win sent ripples through the selection process and suddenly all the Team Control Freak robots were being eagerly sought by potential knock out stage alliance partners. 3116C had earned themselves a selection spot and chose two worthy partners 5119Z (E-Lemon-ators) and 6920C (College of North West London) but unfortunately had to face the eventual winners in their quarter final stage. So after three days of ups and downs, the teams should be proud of themselves as we now have a National Champion and all our teams were eventually knocked out by their own team mates! They should all be proud of themselves and recognise the brilliance of their achievements both as individuals, as separate teams and as the Control Freaks! Well done everyone.